Years ago, Nancy Sanders was hired to be the newsroom secretary at WKBW in Buffalo. 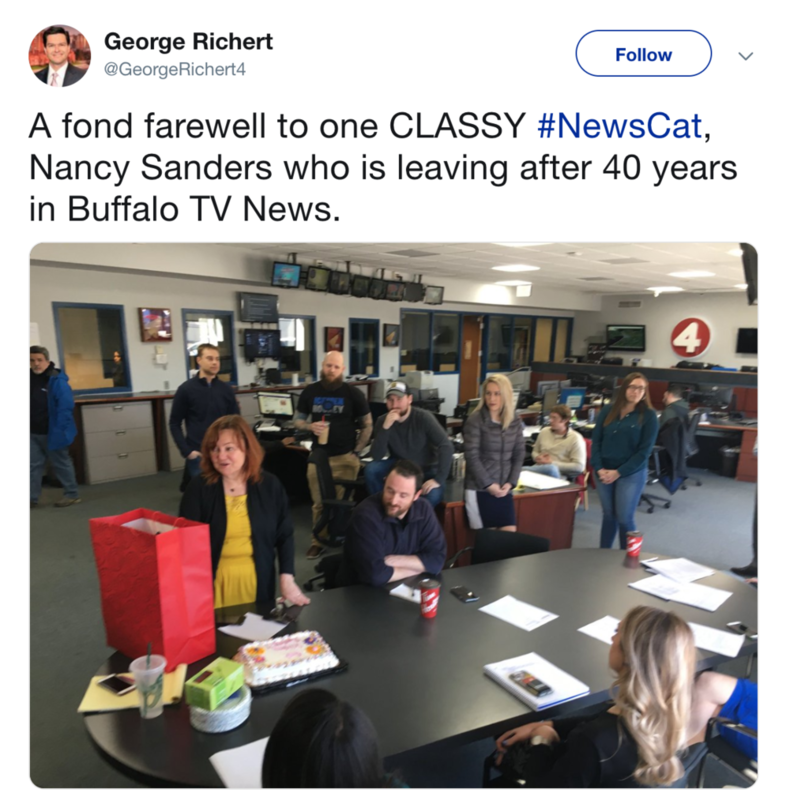 40 something years later she has retired from WIVB in Buffalo. Sanders worked at every station in Buffalo, WKBW, WGRZ and WIVB. She rose up from the ranks at WKBW, working her way up to Assistant News Director. She finished her career at Nexstar owned WIVB as Operations Manager.